Immigration Station barracks. Photo: Frank Jang. Courtesy Angel Island Immigration Station Foundation. Exclusionary laws starting in 1882 and lasting until 1943 allowed only Chinese merchants, students, educators, travelers, or diplomats to come to America, or those who were children of those born here. The 1906 San Francisco earthquake and fire destroyed the Hall of Records created an opportunity for the Chinese. Those who were in the city claimed to have been born in the United States, obtained replacement birth certificates, and told immigration officials that they had children they had fathered in China. This created an opportunity for these “paper sons” and “paper daughters” to immigrate to the U.S., but they were subject to difficult questioning as officials sought to show that they were not related to those they said they were. If denied, the Chinese would appeal their cases, often remaining on the island for weeks, months, or even years. An estimated 100,000 Chinese were detained on the island. Many of these people carved poetry on the wooden walls of the Immigration Station. Despite their situation, about 95% of Chinese were able to make it through and settle in the United States. 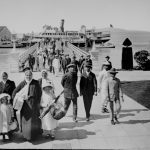 Other laws made it difficult for all Asians to come to this country after 1917, but those who made it established themselves throughout the country, including beyond San Francisco. Examples include immigrants from India who established farms in the Yuba City area in the 1910s, Japanese farmers in the Central and Salinas Valley, Russian farmers in the Fresno area, Chinese throughout the west including the Sacramento Delta towns of Locke, Walnut Grove, and Courtland, and many others. 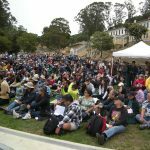 Many of these stories are told on Angel Island Immigration Station’s website at www.aiisf.org/immigrant-voices. 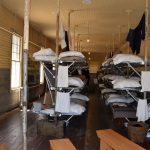 Today, visitors can see the former Immigration Station barracks and view the poetry and recreated bunk beds to show where immigrants stayed. 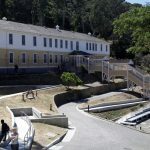 The former hospital is being renovated into the Angel Island State Park Pacific Coast Immigration Center to tell the story of all West Coast immigrants who came to the U.S. before, during, and after the Angel Island period of 1910 to 1940. Admission: Access to the Island is by private boat or public ferry. Immigration Station barracks. Courtesy Angel Island Immigration Station Foundation. Immigrants on the Pier. Courtesy Angel Island Immigration Station Foundation. Second floor Chinese men’s barracks. Courtesy Angel Island Immigration Station Foundation. 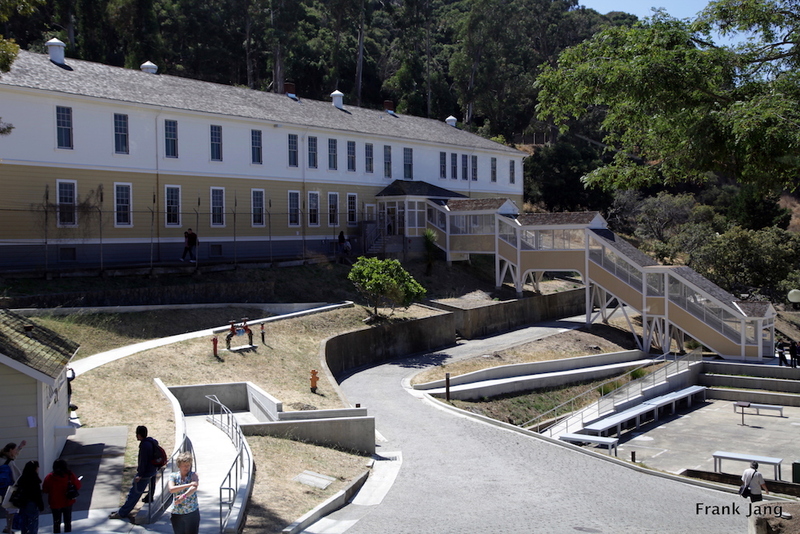 Angel Island State Park hosting a celebration. Courtesy Angel Island Immigration Station Foundation.